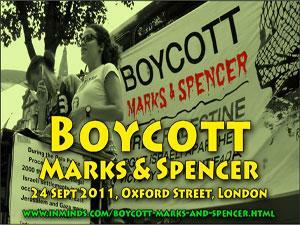 Boycott Israel News: Still Boycott Marks and Spencer? Our response to an issue that has been raised on more than one occasion by activists regarding the boycott of Marks & Spencer. I am concerned that information on M&S is out of date. They are a PLC now, not a family company owned by the Seiff family. Along with the coop, they are the only company who refuse settlement products. Look at this article from Haaretz (box below). I think we should encourage this trend, and focus more on Sainsbury and Tesco. Israel decided to mark produce grown in the settlements after the British chain Marks & Spencer returned millions of dollars in products, Dov Weissglas, former advisor and bureau chief to prime minister Ariel Sharon, revealed yesterday. 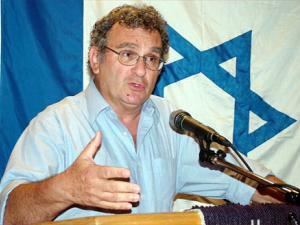 Weissglas, who was giving a speech at a cultural event in Ramat Hasharon, said Israel had been ignoring the European Union and European Economic Area (EEA) demand that it mark such products out of "national pride, and based on the position that all our producers are citizens of Israel, and we must not yield to the political discrimination Europe was demanding." 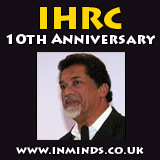 "This pride evaporated when Sharon learned that millions of dollars worth of goods had been returned by Marks & Spencer. He called up Ehud Olmert, who was then minister of industry and trade, and ordered him to begin marking the products in keeping with European demands," Weissglas said. The Europeans said Israel's export agreements with the EEA do not include the occupied territories, and therefore all goods produced there must be taxed at 15 percent, unlike other Israeli products. If Israel maintained its refusal to mark settlement produce, all Israeli exports to Europe would be taxed, they said. This would mean that Israeli products would not be able to compete in Europe, which buys two-thirds of Israeli exports, worth $18 billion a year. Weissglas said Sharon decided to begin evacuating the occupied territories as early as 2002, out of the recognition that no other country, including Israel's top allies, supports the settlement project. "Only one state out of 188 supports the settlement project, and that's Israel. 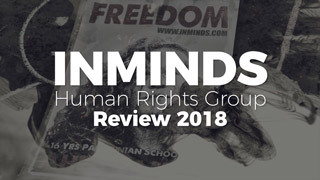 The world doesn't care about historic rights, it cares about reality. 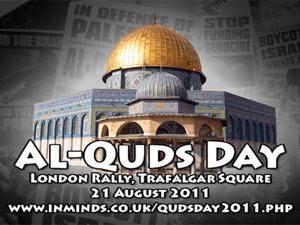 The reality is that there are 2 million Palestinians living in the territories, but only 300,000 Israelis." Weissglas said Israel is dependent economically on Europe, and militarily on the United States. 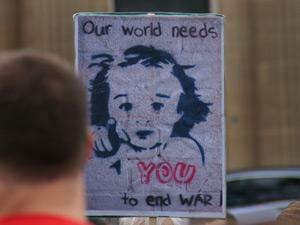 "$4 billion, a quarter of all American military aid, goes to Israel. 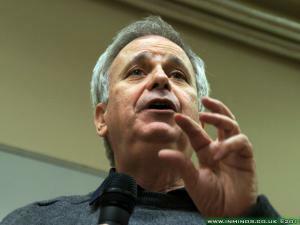 Without Europe and the States we'd be like the Palestinians, surviving on $200 a month," he said. "Now that we've left the Gaza Strip, we will give back the rest of the territories sooner or later, and every single settler will have to leave," he said. The information on M&S on our website, as you point out, is definitely in need of updating. We are in the process of gradually updating all our company information pages but it will take some time - we did a partial update on Kimberly-Clark recently and a full update on Coca-Cola a couple of months back, also the research for an update on Nestle is completed and its page will be updated soon to reflect this. M&S has been a public company since 1926, this hasn't made any difference to its policy towards Israel. 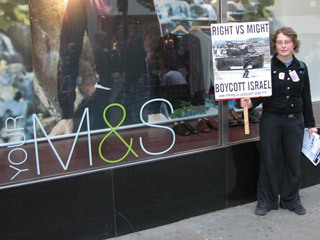 Again and again M&S has stated that they are 'proud' of their special relationship with Israel and that they are as close to Israel as they have ever been. We have seen no reason to doubt that. They boast being the UK's #1 provider of women's lingerie which is sourced from Israeli textile giant Delta Galil. Israeli cloths manufacturer Polgat (Bagir) claims that 1 in 6 men in the UK owns a Bagir suit bought from Marks and Spencer. 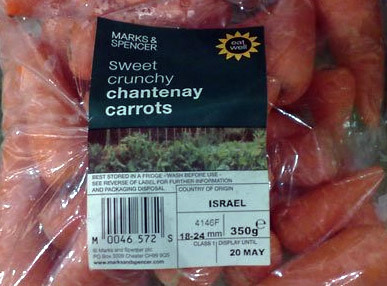 Similarly on the food side of the business, M&S chooses to disproportionately source from Israel. For example its no coincidence that they were the first to introduce Israeli avocados to the UK. Following from that initial helping hand, today avocado exports net Israel $42 million every year (peaking to $87 million in 1987). Israel's leading food manufacturer Osem (which also owns 58% of Tivall) claims that whilst its products are sold in Tesco, Sainsbury, Morrison as well as Marks & Spencer, with each store marketing them under their own label, the quantities are such that it employs two sub-contractors to handle distribution to the chain stores - the first is dedicated to Marks and Spencer, while the second handles all other supermarkets. We are aware of the article you mentioned, we would suggest Sharon's u-turn is an indication of the pull M&S has in Israel due to its strong links. It should be seen as a victory for those passionate activists who have shown exceptional commitment in picketing M&S for the last nine years, and as a vindication of the boycott of M&S, a sign of what's possible if we continue - certainly not a sign to stop now! M&S's stated settlement policy - that out of safety concerns for their staff they have stopped sourcing goods from the settlements, is quiet different to the Coops' who have made an ethical decision. Others like Asda have also made similar statements to no longer sourcing from the settlements, but with very little evidence to suggest any change. M&S still sources its dates from Hadiklaim, the Israeli Date Growers Cooperative, which is made up of among others illegal settler plantations in the Jordan Valley. 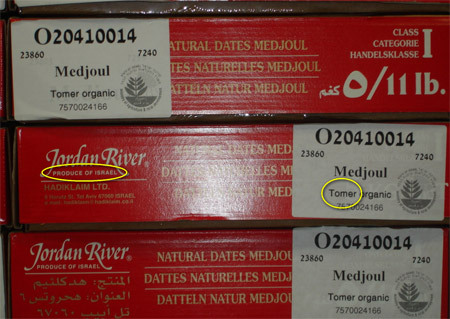 Hadiklaim continues to openly, in defiance to EU regulations, export dates to Europe which are grown in the settlements but falsely labelled as produce of Israel (see photo of dates grown in Tomer settlement labelled as produce of Israel). But say we take M&S at their word, that they have totally stopped selling settlement goods, is that reason enough to stop boycotting them when we know of their strong, continuing economic ties to Israel? I am sure we both agree that there can be no moral distinction between land stolen in 1948 and land stolen in 1967, between those ethnically cleansed in 1948 and those ethnically cleansed in 1967, between boycotting Israeli goods and boycotting settlement goods. So the difference is purely strategic - those trading in settlement goods are more vulnerable under international law and EU legislation than those trading in Israeli goods (since Oslo). And whilst we fully agree that where ever possible, we have to use this vulnerability to our advantage, but we do insist, not at the expense of an ongoing successful boycott campaign like that of M&S. The Palestinian BDS call is for a boycott of Israel, not just the settlements, so whilst we attack the weak link - settlement goods, it mustn't be at the expense of our objective of boycotting all of Israel. Yes, by all means lets go after Sainsbury and Tesco, but also M&S. Where are the Israeli goods? I spent 2 hours with my wife checking M&S earlier today, we found no Israeli goods other than 2 varieties of dates. Most of the gents suits came from China with some from Morocco and Egypt and Cambodia. None from Israel. Similarly there were no Israeli labels in the ladies lingerie. The underwear is made in a variety of Asian countries, Thailand, Sri Lanka, China, Bangladesh etc. Citrus fruit was from South Africa, and avocados from Peru and South Africa. This is a seasonal issue. The Israeli avocado season is between October to May depending on the variety (according to Israel's leading fresh produce exporter Agrexco) so you would be hard stricken to find any Israeli avocado's in M&S or any other store in the UK in July. Similarly most Israeli citrus fruits are not available after May (Valencia till June) apart from lime. What you might find at this time of the year are Israeli figs, grapes, cherry tomato on vine, sweet potatoes and dates. 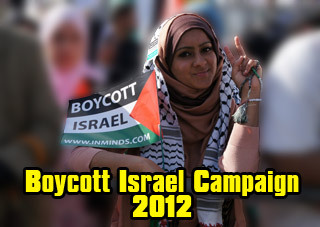 "Until this year, three Israeli firms sold textiles to the British chain, Marks and Spencer (M&S). They were Solog, Delta-Galil and Polgat. In late 1999, M&S informed Solog that its products were too expensive; starting in the year 2000 it would cease to buy them. Since Solog sold half of its products to M &S, the decision was a mortal blow. Delta-Galil also makes half its sales to M &S; they amounted to $180 million last year. In contrast with Solog, however, M&S intends to increase its purchases from Delta by 20%. As for Polgat, it sells two-thirds of its product to the British chain for an annual return of $108 million. Here too M&S will continue to buy. What then makes Delta and Polgat so different from Solog? Geography. Solog has remained entirely in Israel. Delta and Polgat have relocated their labor-intensive sections to Jordan and Egypt..."
This trend has continued and now Israeli textile giant Delta Galil which makes M&S's socks and underwear, in its pursuit of cheap labour, have moved most of their factories out of Israel to other countries including Egypt, Jordan, Turkey, India, China, Cambodia, Bangladesh, and Thailand. 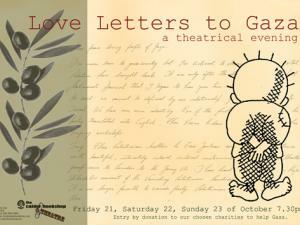 Similarly Israel's Bagir (Polgat), which makes men's and women's suits, trousers, jackets, etc. for M&S, has its factories located in countries including Egypt, Jordan, Turkey, India, Vietnam, and China. In fact it has no factories at all left in Israel, just its HQ. So its not surprising that you didn't find any cloths with 'made in Israel' labels on it. But this doesn't change the fact that the profits from those cloths still go to Israel.